Every technology professional we know has a long project wish list. If only you had more time, you could make your company’s technology more efficient. Of course, those big wins would also be great for your career. Why exactly is IT under such time pressure? Why Are IT Departments Under Such Time Pressure? IT departments struggle to get more high-value work done for technical and social reasons. On the technical side, IT departments are often forced to maintain legacy systems. For example, maintaining a mainframe system at an insurance company is a time-consuming process because there are few people with the skills to work on the system. Further, senior management keeps asking IT to take on more responsibility: keep the lights on, deliver perfect server up-time performance, and somehow deliver innovation. Socially, IT professionals are afflicted with the same time pressures and distractions that impact all of us. Smartphone distractions, long commutes, and anxiety from unstable employment all take a toll. At the workplace, IT also has to contend with the perception of being seen as a cost center to the business. That viewpoint may discourage you from attempting to save time and become more productive. Improve work-life balance. You could go home every day at 5 pm instead of grinding out long hours. If your staff is burned out, this improvement alone could make a world of difference. Build a side project. High performing technology organizations like Google come up with some of their best developments by giving employees time to build a side project. Blue sky thinking. Imagine entirely new ways to deliver IT services to your organization instead of operating in a reactive mode. Invest in new training and skills. With new free time on your schedule, you could afford to give your developers additional time to learn new skills. What if you had half a day per week to learn a new programming language? Upgrade your cybersecurity defenses. No organization is safe from cyber-attack because hacking tools and services are becoming cheaper and more efficient every day. With some added free time in your schedule, you could invest more effort in cybersecurity training, testing, and improvement. Putting a single sign-on software into your organization is one of the best ways to save time. Also, putting single sign-on software in place reduces your cybersecurity risk profile. Corporate help desks spend much time on password resets and other user access requests. Providing this support costs staff time and therefore money. According to industry research, the average cost to resolve an IT support ticket is $62. If you eliminate 100 tickets per year, that adds up to thousands of dollars in savings. What will your help desk do with the extra time? They could partner with HR to create new technical training videos and documents to help the rest of the organization become more productive. As cloud services become more common in business, users have to remember and manage more passwords. There is a password on their computer, to voicemail, to their CRM, to the expense system, and so forth. Each additional system takes more mental bandwidth to manage. It is one of the quiet frustrations of employees. 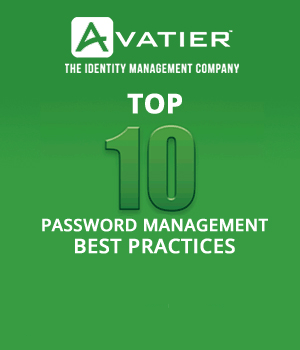 By providing a single sign-on experience, your employees will have fewer passwords to remember. That makes your organization more secure because you can enforce more complex passwords. Your users will also be less inclined to write down passwords in notebooks and scraps of paper. Managers play an essential role in providing security and oversight for their departments. However, this oversight responsibility has recently become onerous. Every access request has to be reviewed and approved. That takes time away from their primary focus: hitting business goals and developing their team. You might point out that reviewing and approving access only takes a few minutes. That is true, but it is not the whole story. Each interruption takes a manager out of the flow of their work. If you want your managers to practice more deep work, then implementing SSO software will help them to achieve that goal. Nobody looks forward to audits, internal or otherwise. We cannot promise you that you will never have another audit. We can systemize access governance and password management though. Instead of putting reports together for auditors, you can simply click a button and send the auditors all the records they require. In practice, saving time on internal audits makes everyone happier. Auditors do not have to sit on their hands waiting for reports. Managers and employees have less material to assemble and deliver to auditors. 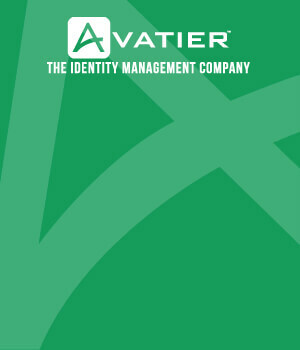 Above and beyond saving time on audits, your security situation will also improve. If your company suffers a hacking incident, what does that mean for the IT department? Long hours spent tracking down problems, carrying out analysis, and creating recommendations. With an SSO solution in place, your organization will become more difficult to attack. As a result, responding to IT hacking events will take less time. Resource: Many of our customers are also interested in improving access governance. Why? There is a high price to pay when access governance fails. Poor access governance — especially when employees change jobs or resign — makes critical data losses more likely. Once it is fully implemented, you can save time with SSO software. How exactly do you get started? Before you buy SSO software, reflect on your business and technology priorities. Implementing SSO software will save you time, but it requires an upfront investment of time and energy.